Farrar, Straus and Giroux, 9780865478619, 672pp. Or could "the Automator"—the ruthless, smooth-talking headmaster intent on modernizing the school—have something to hide? Why Skippy dies and what happens next is the subject of this dazzling and uproarious novel, unraveling a mystery that links the boys of Seabrook College to their parents and teachers in ways nobody could have imagined. 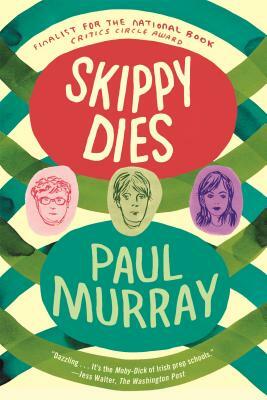 With a cast of characters that ranges from hip-hop-loving fourteen-year-old Eoin "MC Sexecutioner" Flynn to basketball playing midget Philip Kilfether, packed with questions and answers on everything from Ritalin, to M-theory, to bungee jumping, to the hidden meaning of the poetry of Robert Frost, Skippy Dies is a heartfelt, hilarious portrait of the pain, joy, and occasional beauty of adolescence, and a tragic depiction of a world always happy to sacrifice its weakest members. As the twenty-first century enters its teenage years, this is a breathtaking novel from a young writer who will come to define his generation.